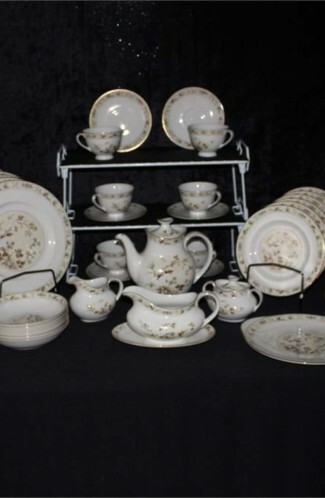 Vintage - Barratts China, "Indian Scroll" Pattern. A very Rare Find. (32) Pieces, Manufactured in the 1940's. 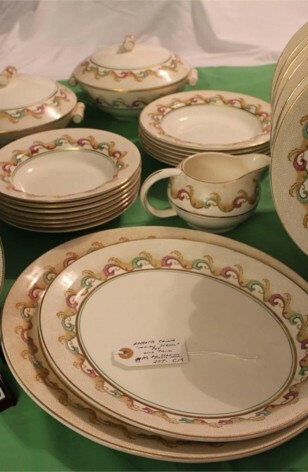 A lovely Cream Plate with Pink, Green and Tan (Hand Painted) Scrolls, and Tan Dots on the Plate; Double Verge of Green and 22kt Gold, with 22kt Gold Rims. 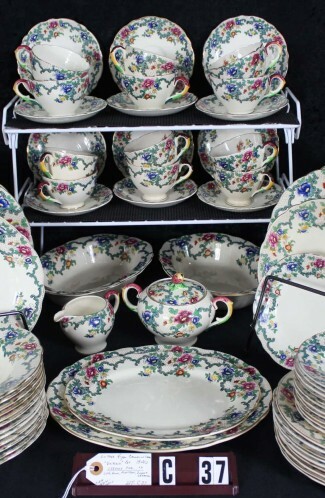 Very colorful and attractive casual dining set would add so much to any occasion. Would be great for a Birthday Party, or Mardi Gras Celebration. 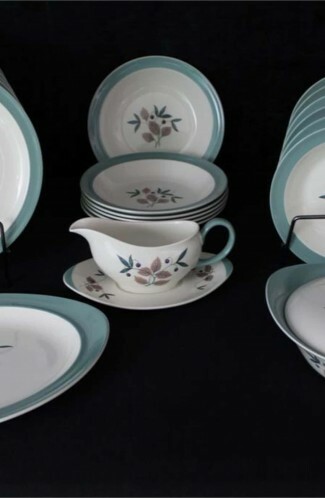 6 - Dinner Plates - 9 3/4"